Based on our regular economic and monetary analyses, we decided to keep the key ECB interest rates unchanged. We continue to expect them to remain at present or lower levels for an extended period of time, and well past the horizon of our net asset purchases. Regarding non-standard monetary policy measures, we confirm that the monthly asset purchases of €80 billion are intended to run until the end of March 2017, or beyond, if necessary, and in any case until the Governing Council sees a sustained adjustment in the path of inflation consistent with its inflation aim. Today we discussed developments since our last monetary policy meeting in early June. Following the UK referendum on EU membership, our assessment is that euro area financial markets have weathered the spike in uncertainty and volatility with encouraging resilience. The announced readiness of central banks to provide liquidity, if needed, and our accommodative monetary policy measures, as well as a robust regulatory and supervisory framework, have all helped to keep market stress contained. Financing conditions remain highly supportive, which contributes to a strengthening in credit creation. They continue to support our baseline scenario of an ongoing economic recovery and an increase in inflation rates. At the same time, given prevailing uncertainties, the Governing Council will continue to monitor economic and financial market developments very closely and to safeguard the pass-through of its accommodative monetary policy to the real economy. Over the coming months, when we have more information, including new staff projections, we will be in a better position to reassess the underlying macroeconomic conditions, the most likely paths of inflation and growth, and the distribution of risks around those paths. If warranted to achieve its objective, the Governing Council will act by using all the instruments available within its mandate. Let me now explain our assessment in greater detail, starting with the economic analysis. Euro area real GDP increased by 0.6%, quarter on quarter, in the first quarter of 2016, after 0.4% in the last quarter of 2015. Growth continues to be supported by domestic demand, while export growth has remained modest. Incoming data point to ongoing growth in the second quarter of 2016, though at a lower rate than in the first quarter. Looking ahead, we continue to expect the economic recovery to proceed at a moderate pace. Domestic demand remains supported by the pass-through of our monetary policy measures to the real economy. Favourable financing conditions and improvements in corporate profitability continue to promote a recovery in investment. Sustained employment gains, which are also benefiting from past structural reforms, and still relatively low oil prices provide additional support for households’ real disposable income and thus for private consumption. In addition, the fiscal stance in the euro area is expected to be mildly expansionary in 2016 and to turn broadly neutral in 2017 and 2018. At the same time, headwinds to the economic recovery in the euro area include the outcome of the UK referendum and other geopolitical uncertainties, subdued growth prospects in emerging markets, the necessary balance sheet adjustments in a number of sectors and a sluggish pace of implementation of structural reforms. Against this background, the risks to the euro area growth outlook remain tilted to the downside. According to Eurostat, euro area annual HICP inflation in June 2016 was 0.1%, up from -0.1% in May, mainly reflecting higher energy and services price inflation. Looking ahead, on the basis of current futures prices for oil, inflation rates are likely to remain very low in the next few months before starting to pick up later in 2016, in large part owing to base effects in the annual rate of change of energy prices. Supported by our monetary policy measures and the expected economic recovery, inflation rates should increase further in 2017 and 2018. Turning to the monetary analysis, broad money (M3) continued to increase at a robust pace in May 2016, with its annual rate of growth standing at 4.9%, after 4.6% in April. As in previous months, annual growth in M3 was mainly supported by its most liquid components, with the narrow monetary aggregate M1 expanding at an annual rate of 9.1% in May, after 9.7% in April. Loan dynamics followed the path of gradual recovery observed since the beginning of 2014. The annual rate of change of loans to non-financial corporations (adjusted for loan sales and securitisation) increased to 1.4% in May 2016, compared with 1.2% in April. Developments in loans to enterprises continue to reflect the lagged relationship with the business cycle, credit risk and the ongoing adjustment of financial and non-financial sector balance sheets. The annual growth rate of loans to households (adjusted for loan sales and securitisation) remained broadly stable at 1.6% in May, after 1.5% in April. The euro area bank lending survey for the second quarter of 2016 indicates further improvements in loan supply conditions for loans to enterprises and households and a continued increase in loan demand across all loan categories. Furthermore, banks continued to report that the targeted longer-term refinancing operations had contributed to more favourable terms and conditions on loans. The monetary policy measures in place since June 2014 have significantly improved borrowing conditions for firms and households, as well as credit flows across the euro area. The comprehensive package of new monetary policy measures adopted in March this year underpins the ongoing upturn in loan growth, thereby supporting the recovery of the real economy. In the light of the prevailing uncertainties, it is essential that the bank lending channel continues to function well. To sum up, a cross-check of the outcome of the economic analysis with the signals coming from the monetary analysis confirmed the need to preserve an appropriate degree of monetary accommodation in order to secure a return of inflation rates towards levels that are below, but close to, 2% without undue delay. Monetary policy is focused on maintaining price stability over the medium term and its accommodative stance supports economic activity. As emphasised repeatedly by the Governing Council, and as again strongly echoed in both European and international policy discussions, in order to reap the full benefits from our monetary policy measures, other policy areas must contribute much more decisively, both at the national and at the European level. The implementation of structural reforms needs to be substantially stepped up to reduce structural unemployment and boost potential output growth in the euro area. Structural reforms are necessary in all euro area countries, although specific reform needs differ across the individual economies. The focus should be on actions to raise productivity and improve the business environment, including the provision of an adequate public infrastructure, which are vital to increase investment and boost job creation. The enhancement of current investment initiatives, including the extension of the Juncker plan, progress on the capital markets union and reforms that will improve the resolution of non-performing loans will also contribute positively to this objective. In an environment of accommodative monetary policy, the swift and effective implementation of structural reforms, in line with the 2016 country-specific recommendations recently approved by the European Council, will not only lead to higher sustainable economic growth in the euro area but will also make the euro area more resilient to global shocks. Fiscal policies should also support the economic recovery, while remaining in compliance with the fiscal rules of the European Union. Full and consistent implementation of the Stability and Growth Pact over time and across countries is crucial to maintain confidence in the fiscal framework. At the same time, all countries should strive for a more growth-friendly composition of fiscal policies. Question: Brexit has revived concerns that you will run out of bonds to buy for the quantitative easing programme. Did the Governing Council consider today whether to relax the rules, or was there any discussion of whether to relax the rules for government bond purchases, including potentially moving from the capital key rule? And would the Governing Council consider buying either equities or bank debt under QE? Draghi: As I said before, we discussed the general economic conditions and we concluded that we didn't have yet information to take decisions, and we decided, as I said, that over the coming months when we have more information, including new staff projections, we'll be in a better position to reassess the underlying macroeconomic conditions. No attention was really given to discuss specific instruments at this point in time. Question: The IMF in its recent update of the World Economic Outlook singled out Italian and Portuguese banks as one of the risks for the outlook. Is that a view that you share? Is it one of the risks that you're taking into account in your considerations? And do you think that some degree of public support for banks in the eurozone is acceptable or indeed desirable? Draghi: As I just said in the introductory statement, monetary policy is certainly supportive of economic activity and is focused on maintaining price stability. But also other policy measures are needed in order to reap the full benefits of our monetary policy, and one of them is to address the non-performing loans and more generally non-performing exposures in the euro area. So that is a very important reform, and we certainly consider it important. I wouldn't say we consider it a risk, as you said, but certainly it has to be addressed. It's a complex problem. We may actually come back on it later on. On the other question, we have in place the rules. We have in place rules of state aid, we have the BRRD, and as I said several times, these rules contain all the flexibility to cope with exceptional circumstances. The power and the responsibility in activating these rules and in complying with these rules lies with the Commission. Question: I believe you have the Survey of Professional Forecasters available, and I was wondering whether that was conducted after Brexit, and what that shows, whether that had an impact on the growth and inflation forecasts. And you've said repeatedly that you need more data and you need more time to assess the exact impact, but it seems to be generally that most observers expect it to be a question of when and how much you might act. Do you think that people who assume that are running ahead a little bit? Is there a fair chance that you've actually done enough? Draghi: On the first point, frankly, I can't remember whether the forecast was done before or after. What I know is that on inflation outlook, Brexit didn't seem to have any major impact at this point in time. Since we're speaking about inflation expectations, it's worthwhile pointing out that we have an increasing divergence between the SPF expectations and the market-based expectations. The SPF expectations basically remained the same: 0.3% this year, 1.2% next year, 1.5% in 2018, and 1.8% is the medium/long-term expectation of the SPF. So pretty anchored. On the other hand we have the market-based inflation expectations, which in the days immediately after Brexit fell significantly. One immediate explanation was that there are technical factors that caused such a decline, namely that the impact on nominal bond yields was bigger than the impact on the linkers, and that reinforced this effect. On the other hand, even when the market sentiment recovered, we haven't really witnessed a similar recovery of the market-based inflation expectations. So again, we can't say much about this at this stage. We need a little more time to assess what is the state of the market-based inflation expectations. On your second question, I just simply reiterate what I said before: I said that over the coming months, when we have more information, including new staff projections, we will be in a better position to reassess the underlying macroeconomic conditions and likely paths and so on. But there is one last sentence that I want to stress in response to your question: if warranted, to achieve its objective, the Governing Council will act by using all instruments available within its mandate. So I would stress readiness, willingness, ability to do so. Question: So far banks have suffered most from Brexit, it seems. They are very important for the transmission of monetary policy, so do you see maybe there's some need to act? My second question is concerning – at the moment bond purchases are linked to the capital key. Would you change that within the near future? 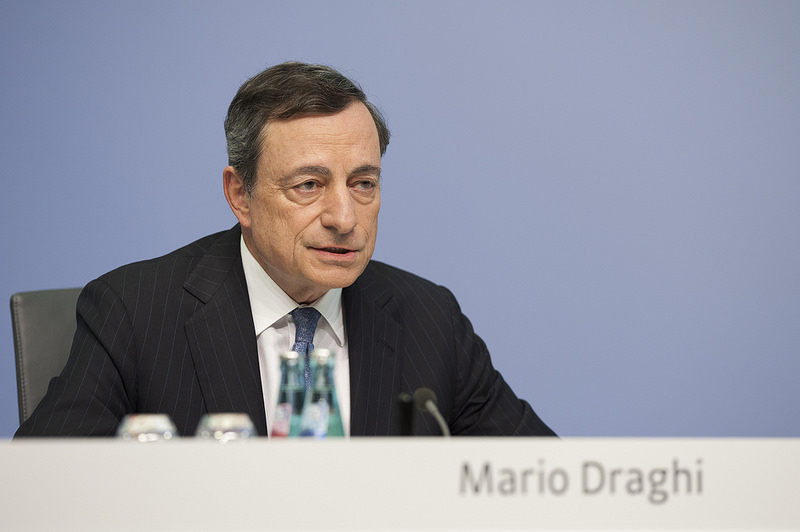 Draghi: I'll answer the first question. You're right, banks are important. Especially important for the eurozone, which is basically a bank-based economy, where the credit intermediation goes mostly through the bank lending channel. Bank equities in the aftermath of the Brexit were especially hit, and especially in the eurozone, and especially those banks with a high share of NPLs, of non-performing loans. Bank equity prices are of some significance for policymakers, because if they drop in the way they did, one would assume, if this is to stay, cost of capital would increase, and therefore the net return on lending would decrease and would suggest on the banking side a more conservative lending behaviour. That's why we do care about bank equity prices for the transmission of our monetary policy. But let's consider this in a little more, I would say the right perspective, but also the medium-term perspective. On the solvency side our banks are better, if not much better, than they were before. Let me give you one number: the average CET1 – the CET1 for the 130 banks directly supervised by the SSM – was 9% in 2012, and it's around 13% today. So from a solvency viewpoint one would conclude that a series of actions that have been undertaken in the last three, four years – like new regulation, supervision, a robust supervisory system and regulatory design; but also a new harmonised standard of classification of NPLs, and certainly substantial provisioning against these NPLs and other forms of weak parts of the balance sheet; and finally the role that our monetary policy played in this period of time – these are the reasons why banks are today better, if not much better, than they were in 2009. So what is the problem? The problem now that we will have to address is the weak profitability ahead, not a problem of solvency. As you know, next week, on 29 July, the EBA will publish the outcome of the most recent stress tests for 51 banks in the European Union, including 37 significant institutions directly supervised by the SSM. Moreover, the SSM has conducted the same stress test for an additional 56 banks under its direct supervision. And these stress tests will be one input to determine the Pillar 2 supervisory capital demands by the end of this year. So then, what about the NPLs? We've said that the NPLs are certainly a significant problem for the future profitability, and for the capacity, the ability that the banks have of lending. So it is a problem that needs to be addressed because it's an obstacle to the transmission of monetary policy. One would say that the solution of the NPL problem is based on three pillars. First of all, a consistent supervisory approach. Second, the development of a fully-functioning NPL market. And third, government action, and first of all passing that legislation that would foster the development of an NPL market. And this certainly involves a revision of existing personal and corporate bankruptcy legislation, but also other actions, and possibly also having a public backstop when at times of exceptional circumstances the NPL market is not well functioning, and certainly we want to avoid fire sales. As regards the second question: the answer is no. We had no discussion about that. No attention was given to that. Question: Just to go back to the effect of Brexit on the eurozone, I understand the ECB thinks it's going to hit growth by about 0.5% over three years. Assuming there was that kind of shock, would that be sufficient to extend the bond purchases beyond March, which is coming up fairly soon? The second question is on the QE programme. Assuming you did face scarcities in bond markets, how difficult do you think it would be to change the parameters? Do you see any legal challenges? Are there more legal challenges with changing the capital key, for instance, than dropping the deposit floor or taking another approach? Draghi: On your first question, the figure that circulated in the aftermath of Brexit was exactly what you said, an impact of 0.2% to 0.5% over three years. I believe the Commission has come out with a similar figure of 0.25% to 0.5%. I think we should take these estimates with some grain of caution. I said it before: uncertainties, large uncertainties prevail, because first of all these figures will in the end depend on how long is going to be the stretch of time for these negotiations to be completed and therefore to give a certain outlook, which we don't have with us today; and second, these figures will also depend on what kind of outcome is going to come out. So I think they have to be taken with a certain grain of caution. What is clear is that financial markets, and also the banking sector, in spite of the large changes in the stock prices, have reacted in a fairly resilient fashion to the event. We haven't observed any disruption, neither in the financial markets sector nor in the banking sector, and this was certainly caused by the large liquidity being abundant; by also all the preparations that all central banks had undertaken before, ensuring that liquidity lines would be available; and certainly by the accommodative monetary policies undertaken by all central banks at the present time. But also because of, in a sense, what I was saying before: by the more robust regulatory system all over the world. That ensured resilience by markets and banks. So I think it's too early to say what is going to be the final impact. The only thing we can say is that it's a risk that has materialised, and it's a downside risk. As far as your other question is concerned, it's about, I would say, the possible execution difficulties that our QE programme may have to face. First let me say that we view our QE programme and our TLTRO programme, all our monetary policy measures, as having been quite successful. They are underpinning the economic recovery. They are underpinning the return of inflation to our objective. Second, as I had the opportunity to say before, we didn't give attention today to the discussion of specific instruments, but in the past we've given enough evidence, not only of our readiness to act and our willingness to act, but also of being able to adapt our programmes so as to reach the objective of a purchase of €80 billion a month until March 2017, and beyond if needed. And I think in worrying about the coming months, whether we'll be able to actually fulfil this objective or not, I think proper attention should be given to the evidence that we've given in the past few months, and our ability to exploit the flexibility that the design of our programme gives us. Question: The ECB has recently published an article that illustrates its various ways of estimating the output gap, which is quite an elusive number, with the measure that was considered more robust pointing to a 6% output gap, which is bigger than most estimates. My question is, what is the measure that you consider most convincing of the output gap, and what conclusions do you draw from that study? My second question is if you have already started considering tapering or other ways of closing the asset purchase, especially given the widespread expectation that asset purchases will eventually be extended past March 2017. Draghi: I'm aware of that paper, of course. It's an estimate of the output gap. As you yourself said, it's an elusive concept. There are several ways to estimate it. And we do take into account the various definitions of output gap when we design our monetary policy, including the one you mentioned. That's, I think, the answer to your question. Constâncio: Just to add that I had quoted that work of our experts last year in my speech at Jackson Hole, among other, also internal, estimates of the output gap, which means there is a whole range of internal calculations with different models that go from -2% to -6%. So we cannot really make a choice in a very concrete way and say, “This is better than the other one.” By the way, this model that comes out with 6%, simplifying it, reaches that conclusion based on the assumption that the variables in the model would explain what has happened to inflation, and to achieve that reverse engineered, then it concludes that the output gap should have been -6% in order to explain the inflation that actually happened. But that's totally model-dependent. So everything has to be really analysed with all the uncertainties behind such a concept. Draghi: Your other question was about tapering: no, we have not discussed it. Question: You've said in this press room in the past that countries like Portugal or Spain have done substantial efforts in terms of structural reforms. Do you consider that a country like Spain, which has reduced the deficit from 11% to 5% of GDP, which has approved labour, pension reforms, financial reforms, deserves a sanction that can be counterproductive in economic and political terms? And do you think that the sanction could be a risk for the stability of the eurozone if we have problems in the Portuguese financial system or a change in the fiscal stance of the eurozone as a whole? Draghi: The decision about sanctioning Spain, or other countries for that matter, is entirely in the hands of the Commission, which has, as in other cases, the responsibility, the power and the knowledge to take a decision. Question: The G20 meeting will be held this weekend in China. What kind of message do you want to send to your colleagues at this upcoming meeting? And do you see another downside risk outside of Europe? Draghi: The message that will probably come out ­– well, the message that will come out, the message that I can foresee or expect to come out, will be a message of stability, and the message that will come out specifically from the eurozone will be a message of a recovery that continues, though at a slower pace, in the midst of great uncertainties. Uncertainties that are not only – or not especially, actually – coming from the eurozone, but they come from various parts of the world. And in this climate of general uncertainty, not necessarily economic uncertainty but probably mostly geopolitical uncertainty, it's very important that a message of stability comes out of the G20. Policies are everywhere very accommodative. The financial system and the banking system are stronger than they were before, and so it's very important that a message like that comes out. Question: Earlier this week, the Bundesbank made a proposal about strengthening the role of the ESM in case of crisis of countries, especially when there is a restructuring of the debt needed, and basically the proposal is to rethink what is called the troika –in reality it's a quartet. I was wondering what you think about this position, if there was a discussion on this in the Governing Council or what you think about this. The second question is, how worried are you about the developments in Turkey, and how can these developments, which are very worrying, I think, generally, have an impact on the recovery and the situation in the eurozone? Draghi: On the first question, as you know, we are part of the troika because of legislation, the six-pack, the two-pack, that was passed years ago. At that time there was a good reason for involving the ECB in the programme countries. The eurozone didn't have any experience with how to manage these situations, and so it made sense to have all the players in: the IMF, the Commission and the ECB. There was also a good case for the ECB to be part of this, so that the ECB could actually have information about the solvency and about the financial stability of the states where the monetary policy counterparties would reside. Now, through the years actors have acquired experience, and the ECB, especially in the last two years, has carved a role which is both minor and more specific to its capacities, to its skills, namely the financial and the banking sector in these countries. Now, to change the troika we need to change legislation. It's not our task. It's the European Parliament, it's the legislators, it's the Ecofin, it's the Eurogroup, and so on. And so we are ready to give our contribution to that extent. On your second question, Turkey: it's very difficult to understand how these big geopolitical uncertainties would affect the recovery, because the channels are not obvious. For example, in the case of Brexit there is an obvious channel, which is the trade channel, but is it the most relevant channel to express the impact of such an event on the eurozone? 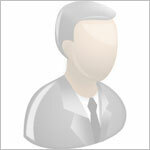 One would rather think about the confidence channel or, for example, the financial service channels. Now in the case of Turkey it's very likely that all these events might affect the confidence, but it's very difficult to foresee significant impact on the eurozone recovery, at least in the immediate future. Question: I realise the corporate bond purchases have started fairly recently, but I'm wondering if you can give us an assessment of whether it's met your expectations so far in bringing you closer to your mandate. And also I wonder – this may be kind of an obvious question – but I wonder if you can sort of explain the transmission mechanism for that part of the asset purchase programme as you see it. I've seen some reports questioning how that's actually going to bring you closer to your mandate. Draghi: In terms of results, we see inflation moving forward according to our baseline scenario. If anything there was a better-than-expected development in recent times, when headline inflation moved from -0.1% to +0.1%, and that's essentially due to changes in the price of energy. But even if we exclude food and energy we saw a positive development in the services inflation. We should also keep in mind, however, that core inflation is being set at values where no uptick has been shown now for several months. So I think we're moving forward at the pace which was expected according to our baseline. By year end there are certain base effects concerning the oil prices which will make inflation go up and stay for the next year at 1.2%, if I'm not mistaken, over next year. So we will see these effects by year end. We should also ask the counterfactual. Our monetary policy measures have been undertaken at the time when we had many other contrary factors or headwinds going against, so we should ask ourselves what would have happened in the absence of these monetary policy measures. But when we look at the consequences, the impact that our monetary policy measures had on financial markets, I think there is no doubt that they've been highly effective. Just to give you an idea of recent, just a few days: our measure of lending rates – it's a composite average of bank lending rates – is now at a historical minimum. We never saw lower rates. The bank lending survey shows that now credit conditions and credit volumes are improving and they have been constantly improving now for several months. But even more importantly, when we ask banks – incidentally, the bank lending survey was taken before and after the Brexit, so banks had been given the opportunity to tell us, “Is what happened changing your views?” and none of them seem to have given an answer to that, so perhaps it's just too early, but we didn't have any feedback from Brexit into their answers. But basically, when we are asking, “Why is credit going up? What is motivating your lending decisions?” they answer, “Competition. Competition between banks.” When two or three years ago credit growth was still negative, the main answer to the question “What is the main motivation behind your lending decision?” was “Risk.” So that's the important thing. They've been giving this answer about competition being the main driver now for several months. And we consider this to be basically a product of our monetary policy measures. So all this is being passed through to the real economy. We're seeing this through the gradual economic recovery, which is moving forward at a steady and moderate pace. Not to mention, of course, all the figures that I mentioned in the past, namely stock prices, namely spreads, spreads between – we can say the fragmentation in the eurozone is by and large over - so spreads between core countries and periphery bank lending is over; spreads between corporates and SMEs have narrowed down a lot. Question: You mentioned earlier the need for a public backstop to prevent possible fire sale of NPLs. Could you expand on that? What form could it take? And a second question about NPLs especially in Italy, which happens to be our country: how urgent is the need for capital, and how big? Because some of the steps that you mentioned earlier are steps that are fairly gradual and take time, but sometimes the market feels like the problem is urgent and cannot wait. Draghi: On the first question, public backstop is a measure that would be very useful but certainly should be agreed with the Commission according to the existing rules. It's important, and it's even more important given the existing rules. So what shape should it take? All this should be agreed with the Commission, and DG Competition especially. The second point about the NPLs in Italy: I think the very first measure – well, certainly, it's a big problem. It's going to take time. It has taken time everywhere, by the way. To address the NPLs when they reach this size has taken time more or less everywhere. But we should be aware that the longer we have this in place, the less functioning will be the banking system, or at least will be the banks with high NPLs, and so the less capable will be these banks to transmit our monetary policy impulses to the real economy. Also, a high level of NPLs makes banks especially vulnerable to the markets. As we've seen recently, bank equity stocks were hit especially for those banks with a high level of NPLs. And one of the reasons why this is so is that the future level of profitability comes into question because a lot of capital is stuck against this level of NPLs. So on one hand there is an interest in trying to resolve this serious problem as fast as one can. On the other hand, one is bound by the fact that it's by its nature a problem that is slow to be resolved. So the question is what can be done to accelerate the solution of this problem? One of the measures is to have a well functioning market for NPLs. What is needed for such a market to develop? Several things, but one is in my view dominant, namely to create a legislative framework where the NPLs can be traded and sold easily. Some steps have been undertaken in Italy in recent times; they're certainly steps in the right direction. More should be done, and should be done especially to address the legacy NPLs, the past stock of NPLs. In other words, the legislative changes should be such that the legacy NPLs could be adequately addressed. Question: I'd like to follow up on what my colleague just said on this proposal on institutional reform. The main idea was that there is not enough appetite in the countries to go ahead with further integration of fiscal policies, so we'd need a market-based solution which includes debt restructuring and creditor participation and so on and so on, extension of maturities. I was wondering whether you think this goes in the right direction, or whether it should better not be undertaken. Second question: the IMF has singled out a large, Frankfurt-based financial institution as a main risk for financial stability, and my question would be whether you share their concerns. 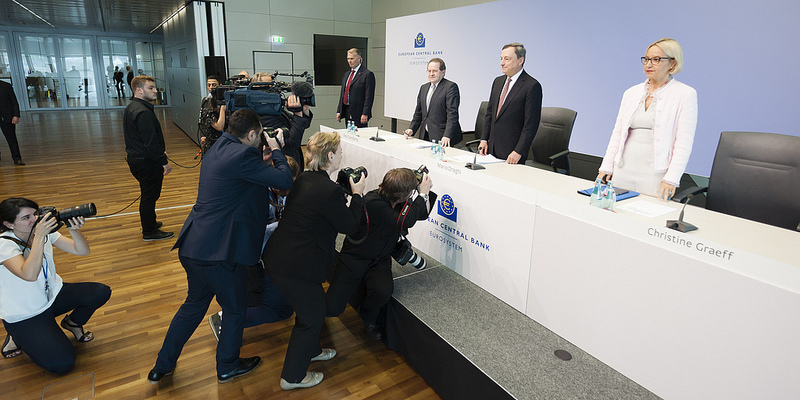 Draghi: The second question is easy to answer: I won't comment on specific banking institutions. On the first question, the changes that are being suggested may be rational in their own sake, but it's very important that they take place in the proper framework. In other words, can we have a debt restructuring mechanism in absence of a common budget, or the somewhat more advanced idea of a common fiscal policy? Are we sure that we have examined all the implications for financial markets, for financial stability, and more generally for stability at large, of big changes in the treatment of sovereign debt? So I think these questions, or these proposals, which have their own rationale if taken by themselves, ought to be reframed in a more complete framework than the one we have today. Question: Members of the European Parliament have repeatedly called for the EBA to be moved from London to Frankfurt, because of the proximity to the ECB. Do you support these calls? Do you think it would be desirable, to make your work easier? Draghi: Well, I didn't know that, but I have no specific view on that. Question: Is there a clear commitment of the ECB system towards banknotes and coins as sole legal tender, and if so why do you bury the €500 note? Draghi: Yes, of course. There is. We didn't bury the €500 notes. We decided that the €500 note is, I would say, a good instrument in hands that are not exactly proper hands. In other words, as someone said, we don't want to draw seigniorage from comfort to criminals. And so we decided to stop production in some years – I think 2018, if I'm not mistaken, the beginning or end of 2018 – of the €500 note but it will stay in circulation and it can be converted at any time in the future. So it will have legal tender. Question: And my second question: is it true that your son is a bond dealer in London, and if so wouldn't it be a conflict of interest? Draghi: This very same question was asked to me five years ago when I started this job. I answered that he's not a bank dealer; he's a trader in London, and that's it. And it's not conflict of interest. And the European Parliament didn't believe so. Question: I just want to pick up on your point about the solvency of the banks and the improvements that we've seen since the financial crisis, and the respective concerns about profitability. I just wonder, when we look around Europe and we see some of the largest and the most strategically important banks trading at or around record lows, that suggests something bigger that profitability concerns, and even solvency concerns in some cases. Do you think there is still a structural lack of confidence in the European banking sector, and do you think investors are perhaps overemphasising the risks? My second question is, we've seen a recovery, a significant recovery in equity markets in particular, since the Brexit vote, but the data suggests that international investors are heading for the door. And I think when they look particularly across the water they see a fractured European Union, they see low growth, high inflation, terrorism, geopolitical risk fuelling nationalism, and politicians that are in many cases failing to respond. I just wondered how you respond, both as a European, and secondly as the head of the central bank of the eurozone. Draghi: Let me respond to the second question first. Our response lies in achieving our mandate, in achieving our objective. Our response lies in ensuring what we call price stability, but in fact amounts to growth and job creation. Our response lies in making sure the labour markets continue to improve. And that's our domain. That's our job. We consider this to be a very important contribution for also addressing the other sides of our continent that create so much worry in the rest of the world's eyes, and that's what we do. That's what we are accountable for and that's what we believe we will succeed in. On your first question, I don't want to downplay the situation. To say that it's not a solvency problem but it's a future profitability problem doesn't mean that one downplays the problem. It's just, figure-wise, we see that from a solvency viewpoint our banks are better off than years ago, but certainly they do have profitability issues, and especially the banks with a high share of NPLs, but not only banks with a high share of NPLs. Some of it has to do with the weak growth performance of the past few years. But I'm pretty confident that strong supervision and robust regulation, and better communication, indeed, by the supervisory authorities, the EBA and all this, will still improve the situation and the perception in the rest of the world's eyes.